Repacking set for Rescue Buoy and Rescue Egg. 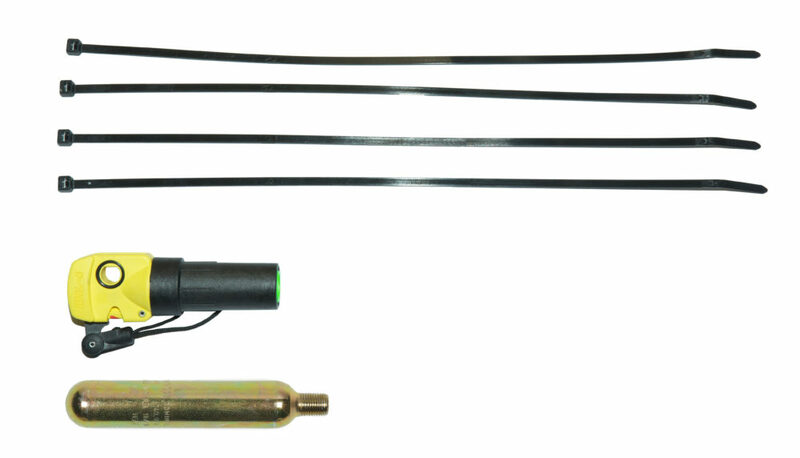 The set includes Inflator, strips and a 33gram CO2 cartridge. The Inflator has an expiry date. Before the expirydate for the inflator runs out, we recommend using the Rescue Buoy for training.